Your Hair & Exercise: You’re Going to Sweat! After a great workout with my personal trainer, Kuti, I feel great; but my skin feels sweaty and dirty. So I head straight to the shower. What about my scalp? Isn’t my scalp an extension of the same skin on my face? Yes! What does the salty sweat do to my scalp and hair? Before we get started, there are some hair FACTS you should know about the structure of your hair. Hair has strengths and weaknesses and the more knowledge you have about your hair the healthier your hair and scalp will become. Hair is composed of keratin, a sulfur-rich protein that provides the hair with the strength it needs to withstand flat ironing, blow drying, combing, brushing, and chemicals. Each strand of hair emerges from a tiny tube-like pit in the skin called the follicle. At the base of the follicle is the papilla, the hair’s source of blood, oxygen, new cells, and other nutrients. The cells multiply in the papilla and become an individual hair with three separate layers.. 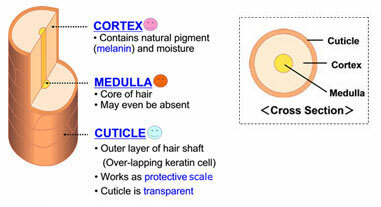 The outer layer is the cuticle and its main job is to protect the inner layers from moisture loss; just inside the cuticle is the cortex which contains the pigment that gives your hair color; and the innermost portion is the medulla and its small core of cells run the length of the hair shaft. Now, what does sweat do to the hair? The sebum cannot travel down the hair shaft to protect and moisturize the strand, and to add insult to injury, the salty sweat travels immediately down the hair shaft to the porous ends and causes the hair to become dehydrated, dry and brittle. This causes damage and can shorten the life of the hair strand. I always do my cardio workout and intense workouts on early Friday morning and early Saturday morning (which causes me to really sweat). Then I have my salon experience at CS on Saturday and my hair is hydrated, bouncy, and beautiful. I do low impact workout Monday and Wednesday and I use 2 two pumps of Sebastian Liquid Gloss or Wella Mirror Polish from mid shaft to ends to protect my hair from any salty sweat. One fact is your hairstyle will change when you sweat. Wearing your hair in a straight style and expecting it not to change when you sweat is unreasonable. Prior to your workout, apply two pumps of Sebastian Liquid Gloss or Wella Mirror Polish to the hairline, root area, mid shaft to ends, then pin curl hair. Wear a cotton sweatband to absorb sweat around hairline–such as Save Your Do Gymwrap. Leave hair in pin curls until hair is completely dry. Products with light amounts of avocado oil, shea butter and/or jojoba oil are also recommended. 1. Cleanse, optimize and treat with Nioxin System 5 (www.nioxin.com), which has Smooth Plex, a unique blend of Kukui Oil and silk amino acids, gives hair moisture, shine and smooth control. 3. Use Nioxin Silk Elixir as a leave in conditioner and smooth hair into a ponytail (even add a bun or draw string ponytail). Stay away from pure olive oil, pure coconut oil and other pure form kitchen oils and home remedies as they are not water soluble enough and over time build up a filmy residue on the hair and will quickly attract environmental residue and dirt. When guests come into the salon with this build up it is impossible to remove in one salon visit and hair remains dirty. Rather than always wearing your hair in a straight style, opt for a style with more texture. Flexirod sets, perm rod sets, two strand twists can hold up better throughout the week. The images below are of flexirod sets done by Renee Williams and Camille Austin, Senior Stylists at Cole Stevens Salon. Braids are hot this season! The newest way to incorporate the braided texture is with a smooth, clean texture on top, very deep side part, and the loose braid low around the hairline. Use Nioxin Silk Elixir to smooth hair with a blow dryer. Before braiding, apply 2 pumps Sebastian Liquid Gloss or Wella Mirror Polish to the hairline, root area, mid shaft and ends, the loosely braid on both side and create a chignon or braid in back with remaining hair. Products with light amounts of avocado oil, shea butter and/or jojoba oil are also recommended. Clients often ask Cole Stevens (CS) stylists, “What do I do to my hair if I want to work out?” Well, we sought one of the best trainers and Diane’s personal trainer, Kuti Mack, to encourage your fitness pursuit without letting your hair hold you back! Research at the Mayo Clinic quickly points out at least 7 major ways exercise improves your life. 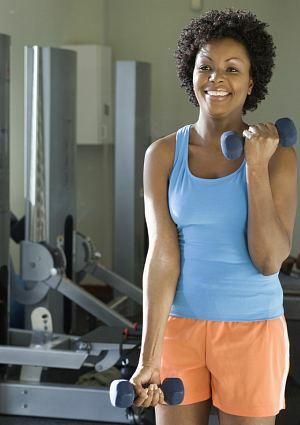 See for yourself: Exercise: 7 benefits of regular physical activity . If you’re worried about your hair after benefit No. 6, I can understand…lol! Remember: there’s NOTHING you can’t do without a lil’ planning. Wrap or put your hair in a ponytail before you workout; manage your perspiration with a towel or headband during the workout; allow your hair to dry post-workout then style with the appropriate products recommended by your Expert Stylist at Cole Stevens. You can also speak to your Stylist about what sorts of hairstyles as well as which conditioning and washing regimens are best for YOU to keep your “wig tight” while you’re getting your “body right”! At the End of the Day, a healthy lifestyle leads to healthy hair…not the other way around. If you have questions for KUTImack you can contact him! It’s that time again. The leaves are changing colors. The temperature is dropping. Cole Stevens Salon welcomes back clients who went on “straight-hair hiatus” for the summer and rocked their beautiful wash-n-go styles. With the change in seasons, and more and more women concerned about their textured coils, the best, Diane Cole Stevens, wants to hear from you and personally give you answers! Diane, and her team of expert stylists will address hair breakage, including around the hairline; thinning at the temples and the crown, design principles, and products for thicker, fuller, denser looking hair using Nioxin. And much more! Hair maintenance during the summer is a must for all textures*–chemically and non-chemically treated hair. While the winter months tend to dry your hair strands causing you to see more breakage, the summer heat and humidity can cause dull, lifeless hair if you do not use the right products. Here are some tips for products recommended by Cole Stevens Salon senior stylists. Key Product for All Hair Types: Nioxin Scalp Shield Sun Block Spray- This product is a lightweight sunscreen spray with SPF 20 and UV protection. Application to the scalp and hairline helps to prevent sunburn and should be reapplied after swimming. CURLY HAIR AT THE BEACH. Step 1. Shampoo hair with Nioxin Clarifying Shampoo to remove sea salt or chlorine and other environmental impurities. Step 2. Next, shampoo and condition hair using Nioxin System 5. Step 3. Spray in Sebastian Potion 9 Lite for UV protection, anti frizz, and lasting moisture. Step 4. Apply a liberal amount of Nioxin Diamax at the the root. Step 5. Scrunch Nioxin Volume and Texture Creme on ends. Step 6. Finger twist hair and let air dry or diffuse. Step 1. Shampoo hair with Sebastian Light Shampoo as a clarifying shampoo to remove sea salt or chlorine, and other environmental impurities. Step 2. Next, shampoo and condition hair with Sebastian Drench. Step 4. Apply Sebastian Whipped Creme which nourishes waves and curls and provides and light hold. Step 1. Shampoo hair with Nioxin Clarifying Shampoo to remove sea salt, chlorine, and other environmental impurities. Step 2. Next, shampoo and condition hair with Tela Organic Shampoo & Conditioner for Curly Hair. Step 4. Scrunch in Tela Curl of My Dreams anti-frizz serum. Step 5. Finger twist hair then let air dry or diffuse. Step 2. Next, shampoo hair with MoroccanOil Moisture Repair Shampoo & Conditioner. Step 5. Finger twist, then let air dry or diffuse. Products mentioned in this article are professional products sold at Cole Stevens Salon locations. *Texture is determined by the diameter of the strand. 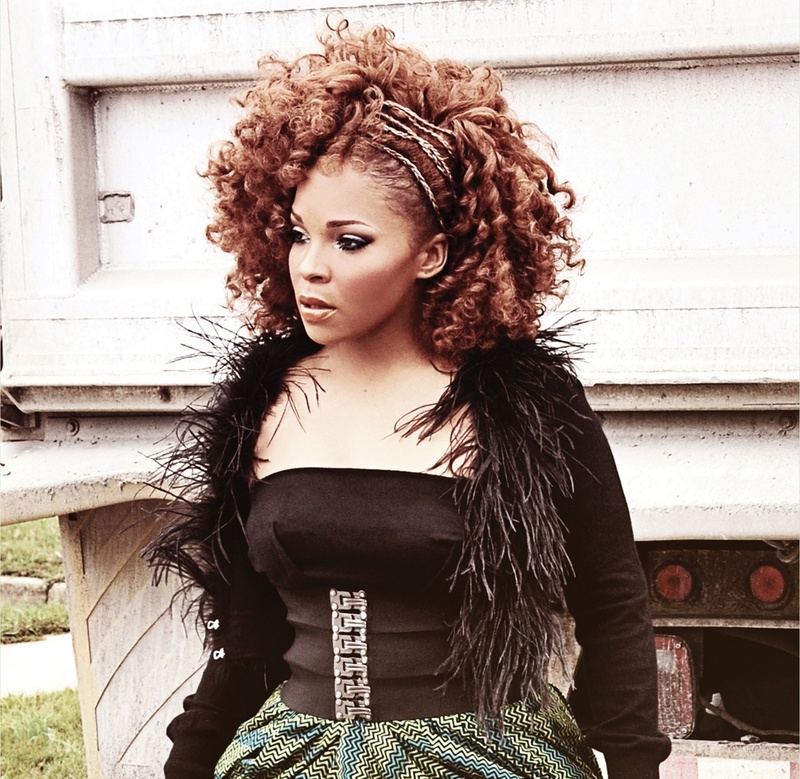 Consult with your stylist to determine you hair texture (fine, medium, or coarse), and your curl pattern, which can range from wavy to curly to tightly coiled, or even a combination. You have colored treated hair? Ask about our new Wella Care and Styling products to enhance brilliance and provide an alluring softness to colored hair while protecting from fading and/or oxidizing in the sun. Static electricity can strike hair at any time, but it is more common during the winter months and cold weather. Typically, fine hair accumulates more static than heads with thicker strands. Why? Static happens often in cold winter months when we tend to to use hats and scarves. Also, the different temperatures from the cold weather outside and interior heat instantly make your hair have static. Your hair needs hydration. Try the fortifying steam treatment at Cole Stevens Salon, $25. Avoid hairspray-it will dry hair out. Increase the humidity in your home by using a humidifier. Use a static free sheet on your dry hair. Use Bounce or Downy sheet, unscented. Use a hydrating shampoo, Nioxin System 5 shampoo, during the winter months and Nioxin System 5 conditioner from mid shaft to ends. Create a finishing cocktail for your hair. My favorite finishing combo is 2 pea size drops of Nioxin Color Glossing Shield with 1 pea size of Nioxin Thickening Gel–the perfect moisture balance! Avoid synthetic bristle brushes; natural fibers don’t hold a charge as easily as synthetics. If you still have static, You could have too much product coating the hair. Use a Nioxin Clarifying Cleanser and allow Nioxin Deep Hair Mask to sink in. DiaMax is a revolutionary new product designed by Nioxin to thicken the diameter of hair is also a great solution for flyaway hair and static free hair. DiaMax can be used on wet hair or dry hair. Cole Stevens stylists use a specific round-brush technique when blow drying our guests hair. Ever wonder why? Of course you have! The round-brush is more than just a “way to blowdry hair.” Diane explains its many benefits to the hair as well. 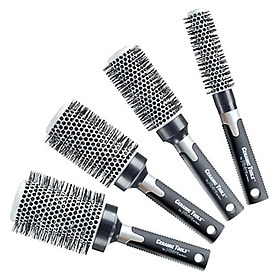 Using a roundbrush improves hair elasticity and shine. 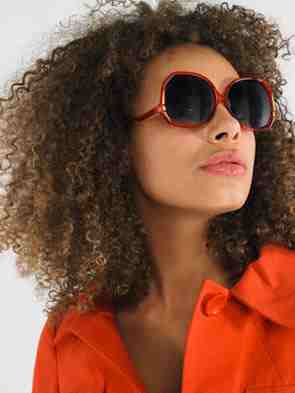 For textured hair, the stretching of the hair cuticle enables straighter styles to be achieved. For thicker, course textures, the roundbrush smoothes the cuticle as the hair is straightened, which helps prevent reverting hair styles. Using a ceramic brush increases the shine of the hair by sealing the cuticles of each hair shaft and keeping in moisture. Styles last longer. When using a roundbrush, the stretching of the hair also increases the life of the hairstyle. Hair of all textures and lengths, and regardless of the amount of hair you have, using a roundbrush decreases frizz and when going from curly to a straight style, the hair is less likely to revert as much. Hair has more body. More body does not always mean more volume. Cole Stevens LOVES hair that moves and roundbrushing achieves bouncy, movable hair. For many textures, the proper roundbrush also provides curl to the hair, which also makes styles last longer. 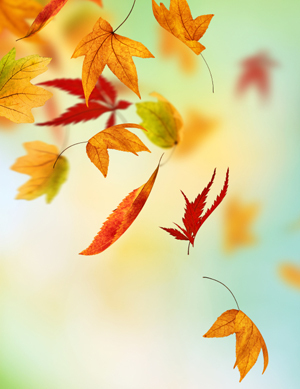 The changes in seasons can not only cause changes in our hair, but our nails on our hands and feet as well. These tips from Cole Stevens’ Master Nail Technician will help you to take great care of your hands and feet. 1. When filing your nails, do not file away the side walls. This creates a weak nail making it more vulnerable to spliting. 2. Never file nails to a point. Square, oval, or rounded are good shapes for fingernails. For toe nails, square with rounded corners are best. Keep toenail length short–never longer than the toe. 3. Use a buffer to smooth ridges on nails and toe nails. Polish looks better on a smooth surface. 4. The best file for a nail is a crystal file. 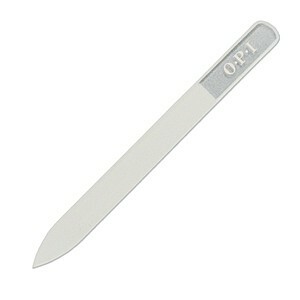 Try OPI’s crystal file. It does not fray edges and will seal the tip of the nails. For toe nails, a file with a grit of 80-100 is best. 5. ALWAYS moisturize hands and feet with a lotion that contains aloe, lanolin, vitamin E or A. These items have healing properties and are good for your skin. Also, use sunscreen when in the sun for maximum skin protection. 6. Moisturize all day, every day. Lotion helps seal in moisture after your bath or shower. For your feet, foot cream can help retain smoothness after a pedicure. 7. Use a pumice stone to smooth the rough areas, such as calluses and corns. The pumice stone and your skin must be wet. Using a dry stone can result in abrasions or cuts. 8. NEVER EVER cut or use a blade to remove corns or calluses. It only makes them worse and you could injure yourself. 9. Wearing white cotton gloves on your hands and white cotton socks on your feet after your bath or shower at night can also help to soften rough, dry hands and feet. You don’t have to wear them all night, but a couple of hours 2 to 3 times of week does help. 10. Using cuticle oil (on nails and tone nails) and a nail strengthener on a regular basis also helps to keep cuticles soft and supple and protects against breakage. 11. When the temperature outside drops remember to wear gloves; your skin will thank you for it! Cole Stevens offers a variety of manicures to suit the needs of your nails and skin in every season. Call our Greenbelt location and ask about our Citrus manicure, Cuticle Conditioning manicure, and Milk & Honey manicure.